When Adam was away he was looking for something to buy the kids, he came across these ‘delightful’ Angry birds t-shirts. Of course they LOVE them. Me?… not so much. Blue for Will, yellow for Arch and red for Eli. 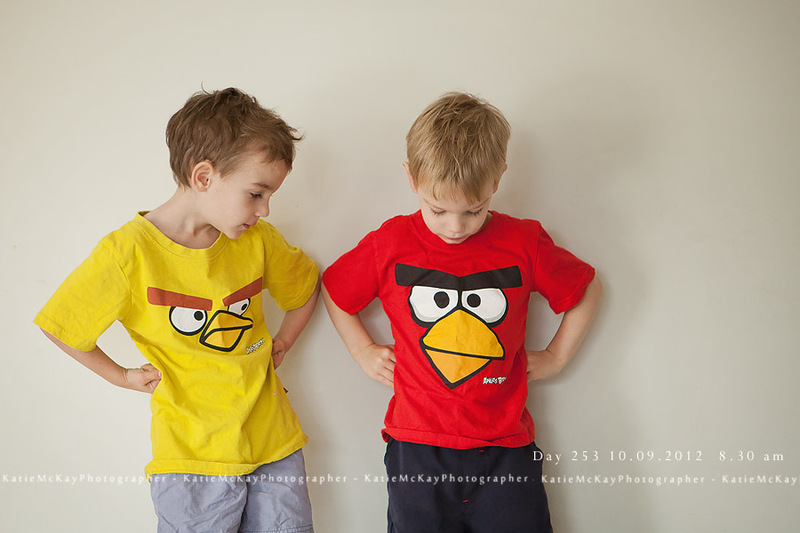 Here are the two youngest getting ready for preschool, both wearing their angry birds t-shirts.